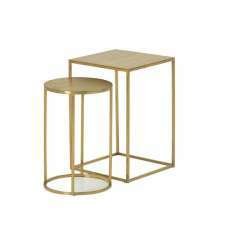 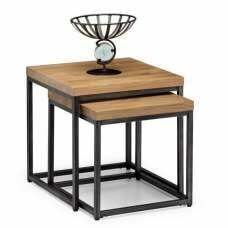 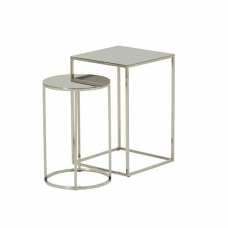 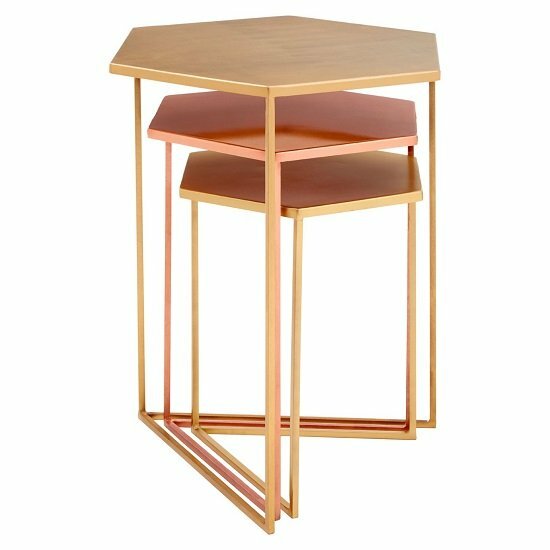 Casa Metal Nest Of 3 Tables In Bronze, Each of the three table's boasts a variation of a warm metallic finish; gold, brass and bronze. 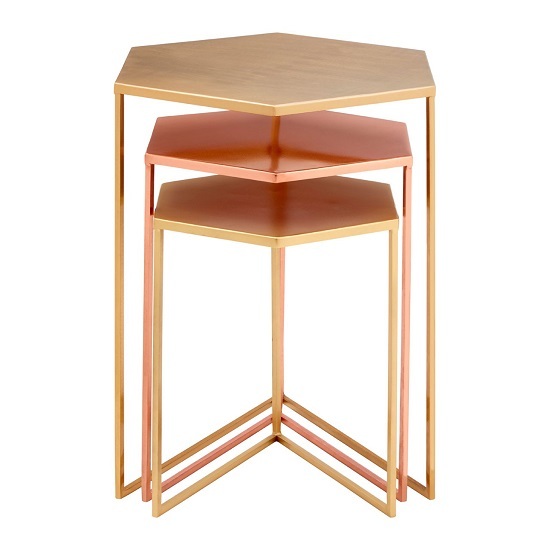 The tables' hexagonal top and geometric, angular frame lend them a contemporary aesthetic. 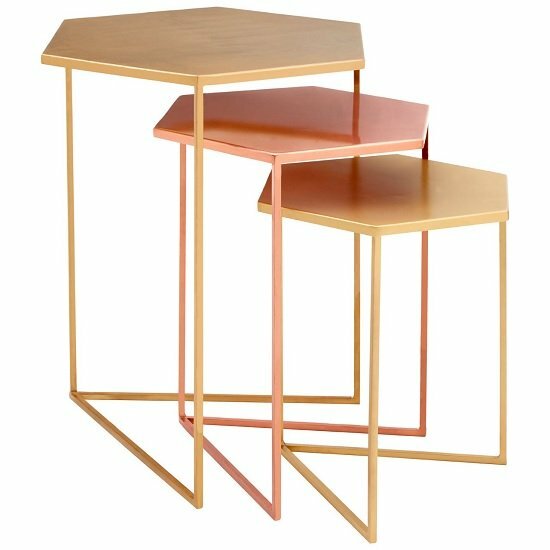 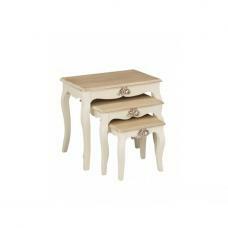 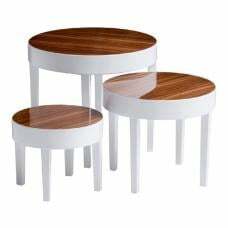 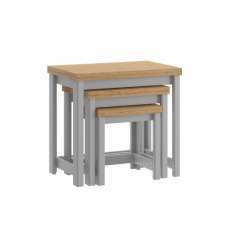 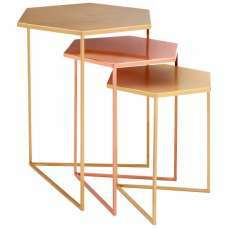 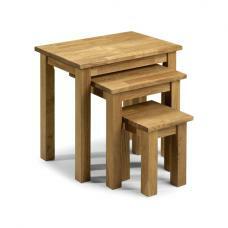 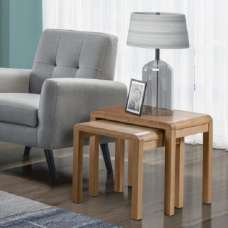 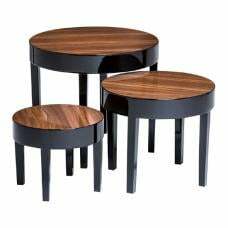 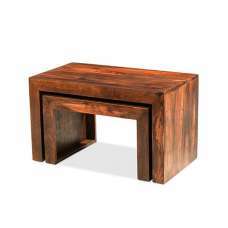 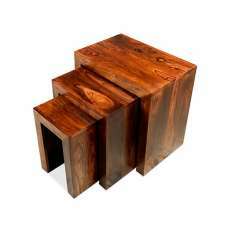 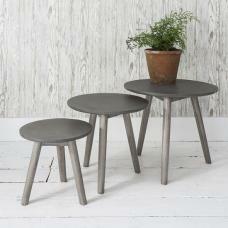 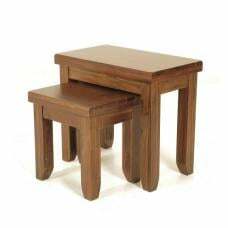 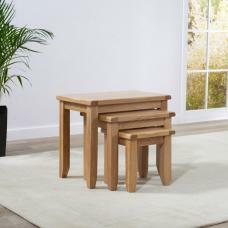 This set of three tables nest comfortably together, stacking underneath each other.